Rockweiler Insulation - News Rockweiler Insulation: New and Improved Focus on Energy 2019 Incentives Are Here! New and Improved Focus on Energy 2019 Incentives Are Here! 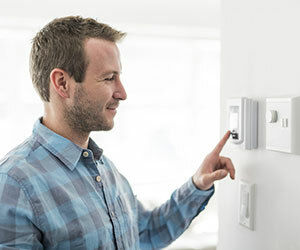 For years the Focus on Energy program has provided a variety of incentives to offset the cost of home energy improvements. Historically to qualify for these incentives, pre- and post-energy audits have been required. Insulate and air seal 600 or more square feet of attic space to qualify for a $500 incentive. The attic must currently have an insulation level of R19 or less to qualify. Insulate basement box sills with spray foam insulation and quality for a $100 incentive. Prior to adding spray foam insulation, the box sill must have no insulation. Our office will supply the proper paperwork to confirm that qualifying work was performed. This paperwork can be submitted to Focus on Energy so you can receive direct payment of your incentive. That’s it! Now it’s even easier to qualify for home energy upgrade incentives and have a more comfortable home! Contact our office with any questions about insulation, air sealing or Focus on Energy incentives. new homes and existing homes.